Aaha Kalyanam, released in approximately 35 screens world wide, is a disaster at overseas box-office. Most likely it will not continue into week two. Idhu Kathirvelan Kadhal managed to ring in average collections, still holding on to 59 screens overseas. 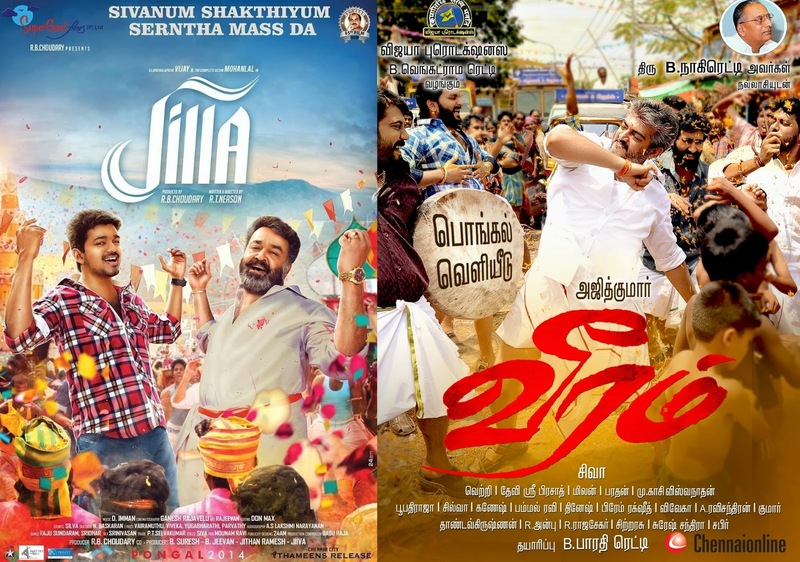 Both Jilla and Veeram continued into week seven in Malaysia, Sri-Lanka and Canada. Overall collection for Jilla is ₹ 21.64 Cr and Veeram total is ₹ 19.55 Cr.